When it comes to paper money, there are a lot of facts that you may not know about that can be very surprising. As you may know, the Royal Canadian Mint is one of the most renowned minting institutions in the world and is the author of countless valuable and interesting coin pieces. If you’d like to know more about some of its earlier works, as well as get a bit more information about the origins of money itself, here’s everything you need to know. The Chinese were the first to ever use paper bills, and the practice had started during the Tang Dynasty (A.D. 618-907). The interesting thing here is that the Chinese had actually been using paper money as exchange or credit notes that were privately issued more than 500 years before Europe caught on to this practice in the 17th century. Paper money ended up spreading through the rest of the world over the next century or two, but China was already so advanced when it came to this practice that it was already experiencing a fairly advanced financial crisis – inflation had soared. At one point, Zimbabwe experienced hyperinflation that reached no less than 231% – to put things into perspective, a loaf of bread could only be bought for 300 billion dollars. In order to curb the damage to the national economy, the newly formed government agreed to issue a 100 trillion dollar note – a note with 14 zeroes, which made it the highest denomination in the world. The move was successful. According to several studies, the great majority of U.S. bills are contaminated by cocaine! Apparently, as a result of drug traffickers often using hands dirtied with coke to move cash; additionally, many users often roll bills into sniffing straws. To make matters even worse – the rollers and brushes in ATMs additionally distribute the cocaine through the remainder of the money supply. A Lack Of Inspiration, Perhaps? It’s interesting to notice that the portrait of Queen Elizabeth II has been found on the currencies of no less than 33 different nations – from Trinidad and Tobago to Australia. The very first to use the image of the British monarch was Canada, and this took place in 1936 when the RCM printed its $20 notes with the image of the then 9-year-old Princess. Between the U.K., and its current and former territories, dominions and colonies, 26 different portraits of the Queen have been used over the years. Counterfeit currency became a huge and significant problem in the United States following the Civil War that the government had no choice but to act. As it happens, more than a third of all bills were believed to be counterfeit and a special division of the Treasury Department was created to go after rampant counterfeiters in 1865. This was done out of concern that counterfeiting if left unchecked, could completely undermine the nation’s economic system. The agency exists and operates even today and is known as the US Secret Service. 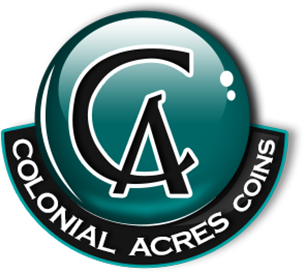 Colonial Acres Coins has been in business for more than 2 decades and is home to an expert team of professional numismatists. Whether you’re on the market for rare and interesting coin pieces or would like to know more about that one special piece that you’ve got in your collection, there’s no better choice than Colonial Acres. Head down to Colonial Acres today and get all the info on paper money you need – and maybe even invest in a specimen or two in order to enrich your collection.